The main photo above shows the royal blue SnuggleHose CPAP hose cover. SnuggleHoses are warm, soft, cozy covers for CPAP hoses. They have the following awesome features! Now featuring new and improved velcro fasteners! They stay in place better and are easier to use! 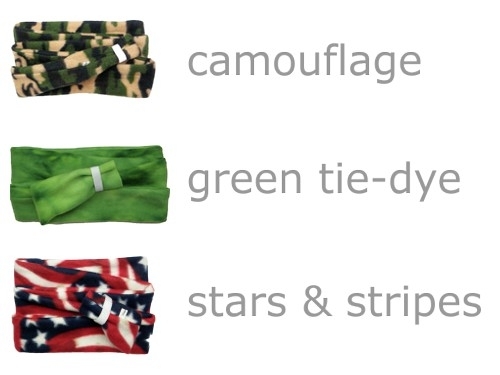 Decreases the distilled water bill and makes even heated hoses seem more "Snuggly"
Originally available in 16 different colors, and now with 3 new specialty colors: camouflage, green tie-dye, and stars and stripes. With 19 colors from which to choose, you're sure to find one you like! 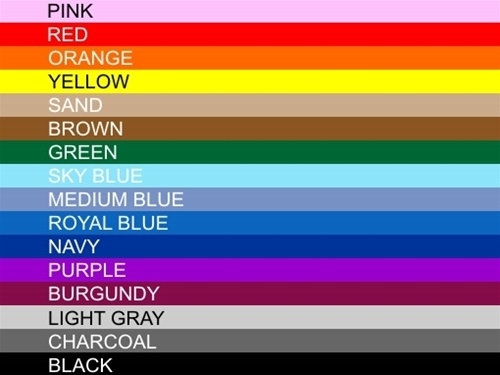 Take a look at the color images above and below to see the color options. The colors in the images may not be exact matches, but they're close. I throw my CPAP hose over my headboard when in operation - when I would pull the hose over the headboard in the evening the hose would create a sound that would annoy my wife as it ratcheted over the edge of the headboard. Also the hose would make a noise if I pulled it a little while sleeping. The SnuggleHose Cover eliminated those sounds and also blends in nicely with the color of the headboard. I never realized how uncomfortable the plastic hose was until I slept with a SnuggleHose cover. What a pleasant surprise! After years of using the hose without the "sock" I am now addicted to it! This humble piece of fabric is magical. Getting used to using a CPAP machine would have been so much easier had I known about it & used it from the beginning. No matter how I secured it, tucked it under pillows or tried to be nice to it, that hose would bunch up and smack me in the face during the night. And it was darned cold if I rolled over onto it. Lost count of the number of times I was startled awake when the ribs raked across my headboard and made a terrible noise. One simple piece of fleece eliminated all those problems. And it makes the device look less hostile. Within a half hour of placing my order online, I received an email that it had already been shipped! It arrived the next day. Amazing. Great product and great customer service.